We've been hearing about all of the cognitive benefits of music in the last few decades—parenting articles have been asking parents to sing to their babies, play classical music, and get their kids in music lessons as early as possible! But what are these benefits, how does music improve language skills, and what can we do at home to facilitate these benefits? We like music before we are even born! Did you know that at just 25 weeks in utero, babies are processing auditory signals? This is why newborns often prefer to hear their mother's voice over others'—it's what they've been hearing for months! Start singing, playing music for, and talking to your baby in utero—this will help prepare their auditory system to start discriminating sounds when they are born. Music has incredible benefits for your infant. 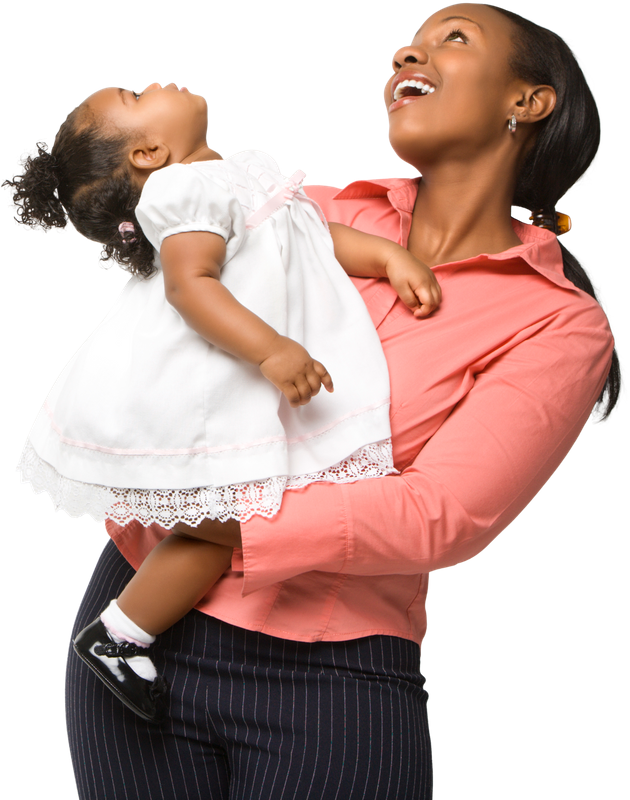 Singing to your baby has been shown to aid in soothing and regulating moods, strengthen the caregiver-infant emotional bond, and facilitate sleeping and feeding patterns which, in turn, improves growth and development. And don't be shy! Your little one does not care if you are the next big star on The Voice—they just want to hear your voice singing just for them and to share the musical experience with you. Language is, in a way, very musical as well—think about how the pitch of our voices go up when we ask questions or how we lengthen a word when we are emphasizing a point (“I am soooooo tired”) By priming our kiddo's with rhythm and tones from music, we are helping their systems figure out how to organize similar traits in language. As your little one grows, you can use music & singing in a variety of ways to help with their development. Use songs with help introduce new vocabulary and combine phrases—there's a reason why “Twinkle Twinkle” and “Wheels on the Bus” have been around for quite some time! Try excitedly pausing during a well-known song and see if they fill in blank (e.g. “Twinkle twinkle little _________” or “Old MacDonald had a farm. E-I-E-I-_____”). Pat your legs and use hand gestures to the beat of songs to encourage development of rhythmic skills. One of our favorite ways to use music and singing for our younger kids is to create musical routines! All humans, particularly our little ones, feel most comfortable with predictability. Have a song for cleaning up, going to bed, washing hands, at mealtimes, or saying goodbye often helps our little ones transition from one activity to the next. Research has pointed to the positive effect of music education on both language and literacy development. A recent study (Kühnis et al., 2013) found that musicians were better at differentiating between subtle differences in speech sounds than non-musicians. Music stimulates many areas of the brain simultaneously. 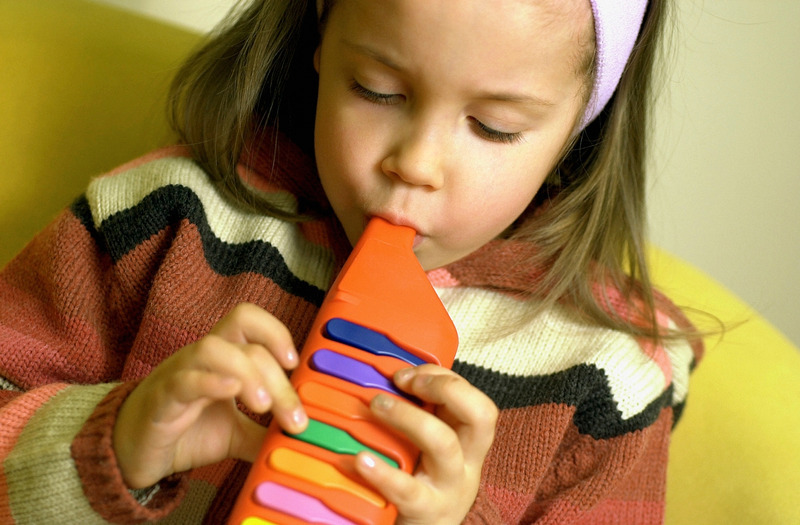 While singing or playing an instrument, we may be listening to the tones we produce, watching and feeling our fingers move across and instrument, shaping the words with our mouth, and tapping into the memory and language areas of our brains to recall the notes and words all at the same time! Language is equally complex and involves many of the same systems to understand and produce what we say on a daily basis. So it makes sense that with strong music interpretation skills, interpretation and production of slight differences in language would be strengthened as well. A great example of this comes with music supporting early literacy skills such as phonemic awareness. All music involves rhythmic patterns, and singing often involves rhyming. Phonemic awareness is our ability to hear a speech sound, identify that sound, and then ultimately combine that with other speech sounds to make words. For example, each letter in d-o-g has a different sound, and when we combine those sounds together we make the word for our favorite furry friend. Thus, recognizing and interpreting rhythmic and rhyming patterns in music facilitates recognizing patterns in language as well! Music isn't just beneficial to our little ones in terms of language learning. As we age, some of our strongest memories are linked with music. If you read, “Gimme a break Gimme a break. Break me off a piece of that _________” Most of us would be able to fill in “Kit-Kat bar!” And when we are trying to alphabetize something, most of us still sing the alphabet song in our heads! This is because music is associated with so many areas of our brain that those catchy jingles become very ingrained in our memory. Introducing new concepts with familiar songs is a great way to quickly solidify the information. Be creative with it--many children have learned their phone numbers using the jingle to either the Luna or Empire carpet theme songs! Music has a multitude of language benefits, but participating in music lessons and ensembles also gives kids of all ages the opportunity to work with others, practice listening skills, increase discipline and self-confidence and allows them to meet others with similar interests. So next time you are deciding which extracurricular activity to sign your kids up for, put music on the top! Graven, Stanley & Browne, Joy. (2008). Auditory Development in the Fetus and Infant. Newborn and Infant Nursing Reviews. 8. 187-193. 10.1053/j.nainr.2008.10.010. Kühnis, J, et al. (2013) “The Encoding of Vowels and Temporal Speech Cues in the Auditory Cortex of Professional Musicians: an EEG Study.” Advances in Pediatrics., U.S. National Library of Medicine, www.ncbi.nlm.nih.gov/pubmed/23664833/. Massachusetts Institute of Technology. "How music lessons can improve language skills: Study links piano education with better word discrimination by kindergartners." ScienceDaily. ScienceDaily, 25 June 2018.